Mowing the Law: Compulsory voting to revive the election process in India? Compulsory voting to revive the election process in India? The above article is written by Anagha Lokhande. Flags flaring on the bikes as they race through the streets marking the party’s win, jubilant leaders celebrate their success during the elections…its one of the biggest day in India, where the whole nation teams up to elect their candidates to the government because after all we are the Democracy; government by the people, for the people, of the people! But surprising where are all the people? Under many reasons that the ‘junta’ cites for not turning up at the poll booths, the most diplomatic and the most common one is that “there are no good candidates”. There goes a long list of reasons after this like I had an important meeting, I wasn’t keeping well, I was out of town, etc and etc. and the biggest reason being I don’t believe in democracy and that my voting or not voting wouldn’t make any difference. These are the reasons that make India’s elections a failure after all that efforts that go into making them happen. Low turnouts at the elections only mean bad governance. This gives an open opportunity for the corrupt to infest on the government functioning and act according to their wishes and not how they should. More over a better turnout ensures a clear margin between the winning party and the competitors. This guarantees fair elections without the influence of the ‘paid’ voters affecting the count. Compulsory voting- why do we need it? India has been far unaware of the ideology of compulsory voting, which has been adopted as many as 25 nations in the world. Compulsory voting is a system, wherein the electors are obliged to vote in the elections or attend a polling place on voting day. If an eligible voter does not attend a polling place, he or she may be subject to punitive measures such as fines, community service, or perhaps imprisonment if fines are unpaid or community service not performed. It was believed to be first practiced by the people in Athens during the time of Athenian Democracy circa 508 B.C. One of the most well-known compulsory voting systems is in Australia. All Australian citizens over the age of 18 (except those of unsound mind or those convicted of serious crimes) must be registered to vote and show up at the poll on Election Day. Australians who do not vote are subject to fines although those who were ill or otherwise incapable of voting on Election Day can have their fines waived. Compulsory voting in Australia was adopted in the state of Queensland in 1915 and subsequently adopted nationwide in 1924. Australia also known for its excellent transformation following a history of electoral reforms sets an excellent example for the other countries. Compulsory voting is believed to have increased the voter turnout at the elections in the countries which have enforced the same. Introducing compulsory voting in India has received its fair share of attention. The talks about it have been going around since quite a few years. The Gujarat Local Authorities Laws (Amendment) Bill, 2009 has been a kind of the revolution and precedent needed, passed again by the Gujarat Assembly on 28the Feb. 2011 after being previously introduced in 2009. The bill in its original form makes it compulsory for residents of Gujarat to vote in elections to a local self-governing body. 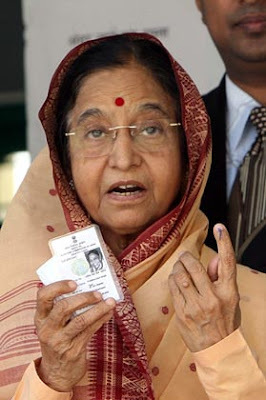 Once it becomes law, the ''duty to vote'' will apply to all qualified voters for municipal corporations, municipalities, district, and taluka and village panchayats. It states that those who do not abide by it would be listed as ‘defaulters’ and will have a time span of 30 days to explain their absence to avoid punishment or fine. The voters do have an option of “none of the above” if they don’t like any of the candidates up for the elections. · It will be easier for political parties to campaign on issues, since they will no longer have to spend funds simply trying to encourage people to vote. · Since the entire population – or at least, a vast majority – is voting, the resulting government would have a stronger mandate. · This would equalize participation of the citizens and removes bias from less-privileged citizens. · Compulsory voting will definitely Increase citizen interest in politics and government. · It would Force the silent majority to think about elections which safeguards from extremism. A high turnout is important for a proper democratic mandate and the functioning of democracy. Compulsory voting is really effective for example; in Australia the turnouts are as high as 98%. India- the world’s largest democracy! Narendra Modi’s effort to increase voter turnouts is appreciable. Amid the ongoing debate over electoral reforms, BJP leader L K Advani batted for compulsory voting, saying it was not an impossible task to achieve (TOI). Many other prominent personalities feel that compulsory voting could help to increase the voter turnout. Film maker Shekhar told the TOI, “No one says anything about having to pay taxes. If taxes can be made mandatory and defaulters be taken to task, what is wrong in making voting compulsory, and taking punitive action against those who fail to abide?" 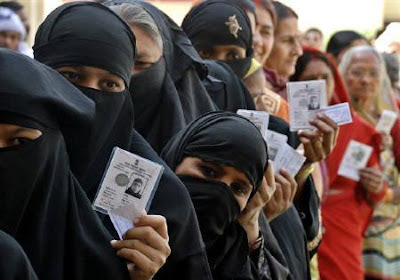 In India, a country which is geographically diverse and demographically varied, implementing and good functioning of any new scheme involves a huge process of assessment, criticism, voting etc. intricate issues like that of compulsory voting involves risks. In the reality managing this system of voting is bound to be tough and faced with lot of challenges. The costs of the election are bound to rise up as it may involve processes to keep a track of the non voters, their reasons for staying away from voting, the details of the proceeding actions taken. Time consuming and highly organizational, this scheme may add up to pressure. But on the brighter side; in this digital age and day, that's unlikely to be a grave challenge. With the new UID (Unique Identification Number) that Nandan Nilekani and his team are rolling out, one should be digitally enabled to vote. 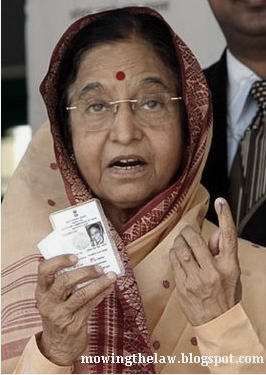 People who don't want to make the trek from their homes to the polling booths or those who're unable to do so for reasons of health or safety can use their UID to cast their vote. It's a technological innovation that is very doable. E-Voting in India must be accompanied by proper plan and adequate information and communication technology infrastructure. At the same time special emphasis must be given to the cyber security aspect of e-voting mechanism in India. If voting has to be made compulsory by law, then it goes without saying that such a law will come with its own set of deterrents and punitive action in case of non-compliance. How realistic is that? In practicality it would be difficult to implement compulsory voting. In the last general elections, nearly 300 million people did not vote. If this is punishable under law, we'll have to file that many cases, virtually clogging and choking the already overburdened legal system. But this is one challenge that has to be taken. The centre has been trying hard to resolve the problem of judicial backlog; expressing this the PM, Manmohan Singh in a conference organized by AICC's legal department in 2008 had promised to "walk the extra mile" in steps taken by the bar and the bench at 'oiling' the system but said "the lead (for judicial reform) has to come from within." The critics say that this idea of forceful voting is in the violation of the fundamental basic rights of the citizens and that no citizen can be forced to vote against his will. Making voting mandatory stresses on the notion that voting is a civic duty which every citizen is entitled to perform as he is free to enjoy his rights. And above all making voting mandatory is for the good of the masses and not to encroach upon their fundamental rights. Voting is another obligation that the state has a right to expect from citizens (like taxes, juries and sending children to school) While Right to Education is now a fundamental right, voting should be a fundamental responsibility of the citizens to ensure an honest administration. The critics are not opposed to compulsory enrolment, compulsory allocation of preferences yet are opposed to compulsory attendance at an electoral booth. Every new system brings its own peculiar problems and the proposed e-voting system would also face the same. Only time would tell how effective this system would be? 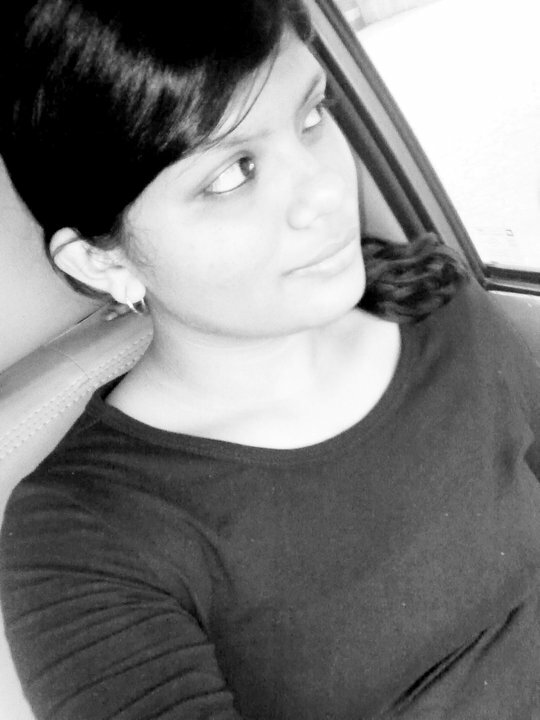 "Anagha is pursuing her B.L.S./LL.B. from Government Law College, Mumbai. Her wish to become a lawyer specializing in International Law. She loves learning new languages, reading books and volunteering at animal shelters. Her goal is to use her legal knowledge to curb cruelty against animals ! " Compulsory voting hasn't worked in Australia. We have very high levels of informal votes, donkey votes, blind guesses and unregistered voters. Our real voter turnouts are lower than many countries where voting is voluntary. To encourage people to use their vote you need to convince them their vote matters. You need to empower people. Enforcing compulsory voting does the complete opposite. Compulsory voting is only enforced in 10 countries in the world. Take a long hard look at those countries and consider if they're ones you want to emulate. Compulsory voting may still be effective in countries like India where most of the population has lost faith in the Government. Less than 40% people voted in the last election. And of those 10 countries not all of them are that under developed. Take Singapore for example, wherein voting is compulsory above 21 years of age. Voting should be made mandatory in India, but how can a citizen of India who works abroad or even in some far distant state can cast his/her vote. It would be a herculean task and a very complicated affair. Technology would be the answer, Aadhar card would come in handy, just make an outstation post in every city for voters who wish to vote for their candidates back in state. Mandatory documents should be aadhar card which takes your finger imprints as well as retina image to make it full proof and more efficient. Let the state agencies email you the voting day and also the details from the voter’s list. Go and just vote, wherever you are and whoever you need to. Does our vote count? Stop complaining and vote for a change. Our nation is technology savvy now.